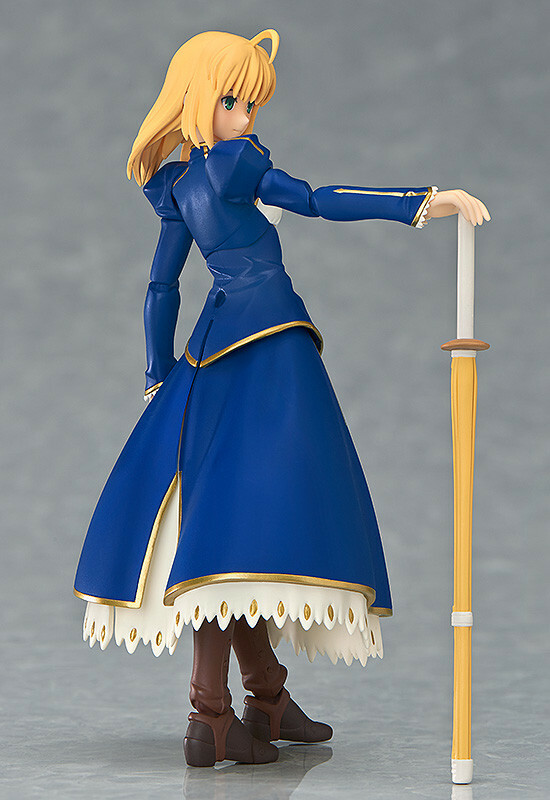 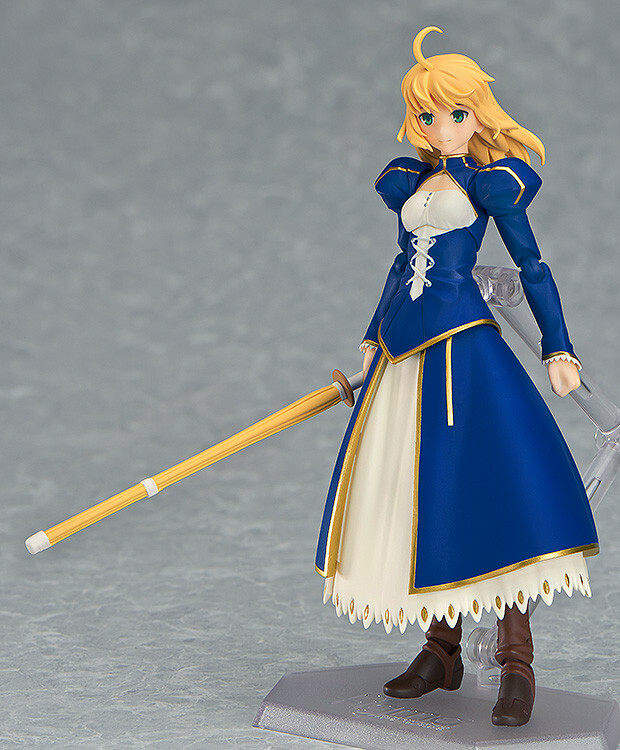 "There is one last thing I need to say..."
From the popular anime Fate/stay night [Unlimited Blade Works] comes a figma of Saber wearing her dress without armor! 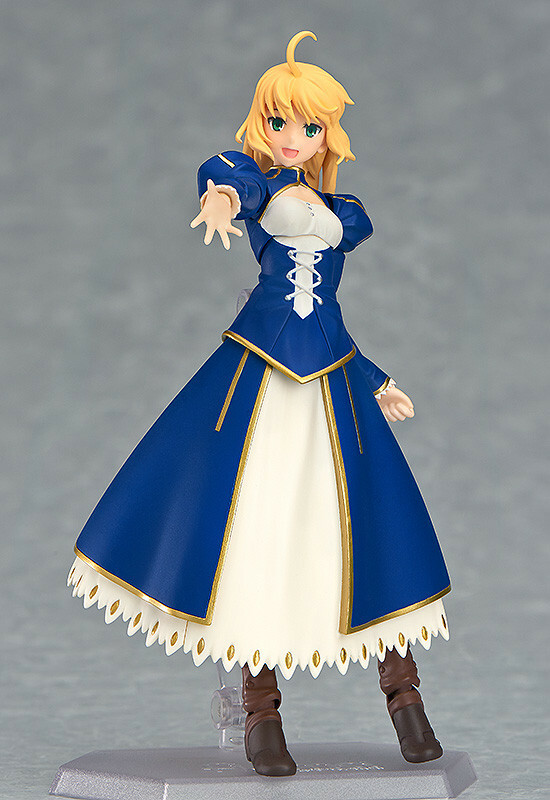 She comes with three expressions including a gallant face, a gentle smile and a bright smile filled with happiness. 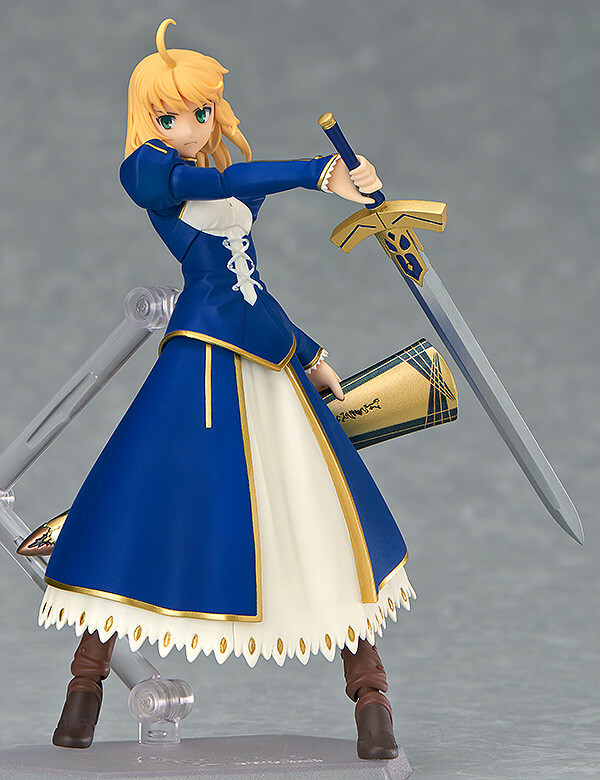 Optional parts include Excalibur and its scabbard Avalon, as well as the bamboo sword from the series. 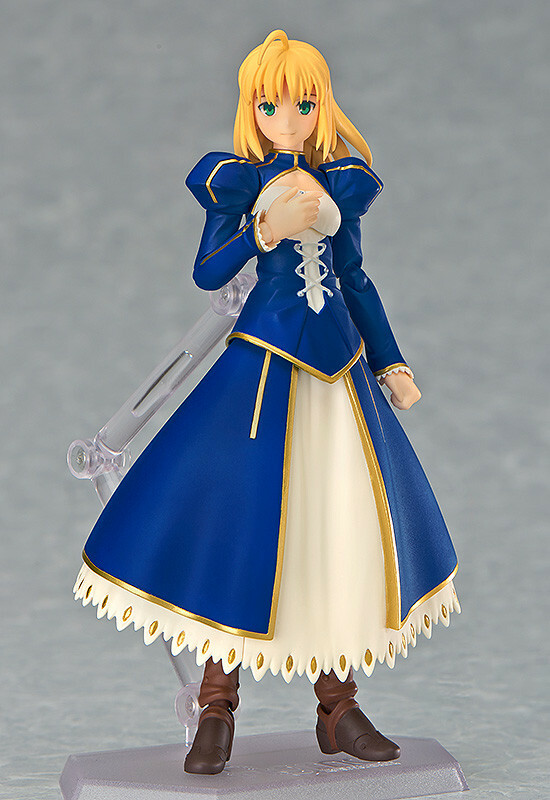 She also comes with alterate hair parts to display her hair blowing gently in the wind.